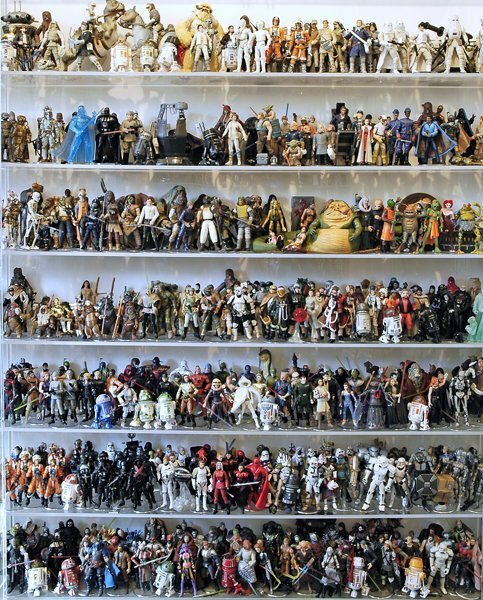 The action figure collection was built over more than 30 years by Fon Davis, a long-time ILM model maker and now owner of FonCo Creative Services, Lagunitas, CA. "Fon's generosity in donating this collection is mind-blowing, but it was done in the true spirit of Star Wars fandom," said Steve Sansweet, chief executive of Rancho Obi Wan Inc. and principle author of the new action figure book. The auction includes 1,950 different action figures starting with the vintage line in 1978 and continuing through the beginning of 2011. It makes up about 85% of the figures documented in The Ultimate Action Figure Collection. All figures are in very good to excellent condition with most original accessories. Detailed descriptions of vintage figures and photos of the collection are on the auction page. 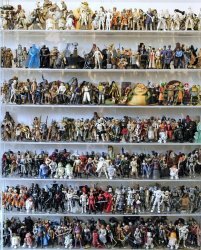 The collection has been appraised at a minimum value of $8,200 by Pete Vilmur, collecting expert and co-author of four Star Wars books. The auction includes a copy of The Ultimate Action Figure Collection with a bookplate signed by all four authors. 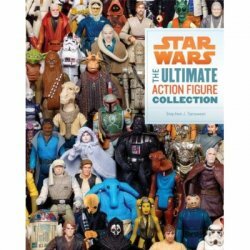 The new book shows and lists every Star Wars action figure-the quintessential toy of the 1970s and 1980s-from the first in 1978 through earlier this year, nearly 2,300 in all. Support Rancho Obi-Wan by placing a bid, by forwarding this information to the Star Wars collector in your life, or by posting the auction on your Facebook or Twitter accounts. In addition, Star Wars The Ultimate Action Figure Collection makes a great holiday gift and your purchase through our Amazon Associate link credits Rancho Obi-Wan.